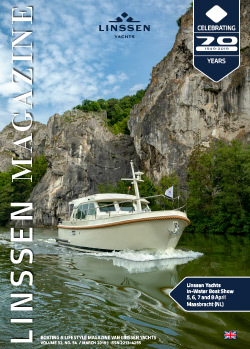 Linssen Yachts builds displacement motor yachts from 9 to 15 metres. The composition of those on board, your personal wishes, your boating area and possibly your budget will influence the series that your choose and the model (AC version with aft cabin or Sedan with open cockpit) within that series. As various series overlap in lengths and possibilities, you will always find a yacht that meets your demands. If not, get in touch to discuss your personal wishes. Leaning back, taking a deep breath and relaxing without a care in the world - that's what you look for from your boating experience. The precondition for this is that the boat you’re sailing on generates a calm atmosphere. So what you want is a motoryacht from Linssen, which gives you all the quality and comfort you deserve! 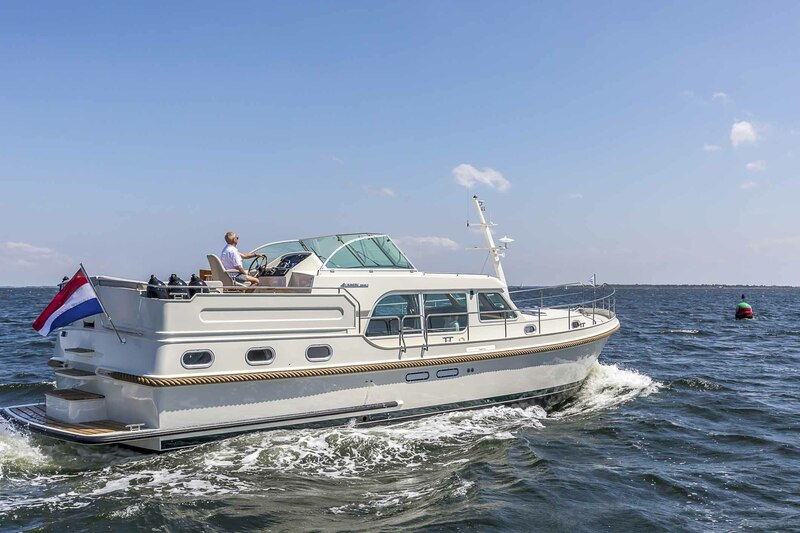 Compact and at the same time generously proportioned motor yachts that offer far more living area and comfort on board than is usually the case. 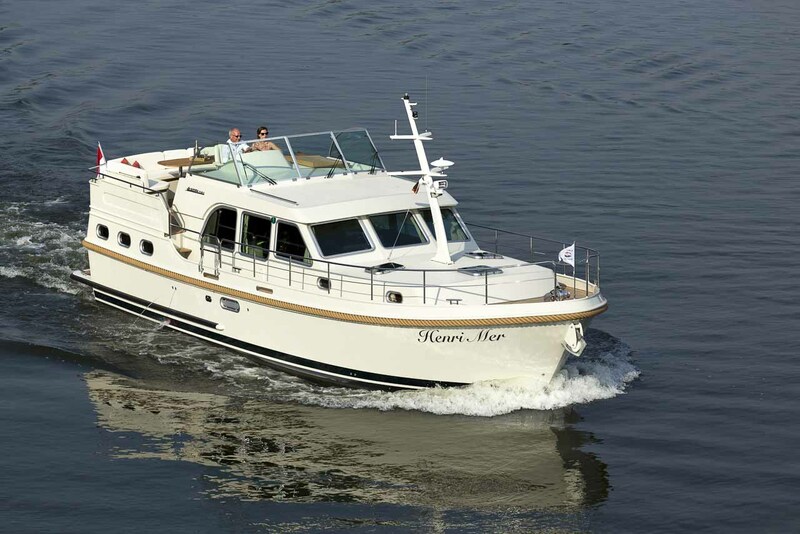 Thanks to their efficient layout, these motor yachts are unrivalled when it comes to creating a very spacious feeling. What features are included in the Grand Sturdy series? Firstly, the aft deck and transom configuration. Linssen has carried out countless investigations into the comfortable, safe and most effective use of the available space, which has resulted in the centre line traffic principle. When on board, the aft deck is the number one place around which social life revolves. 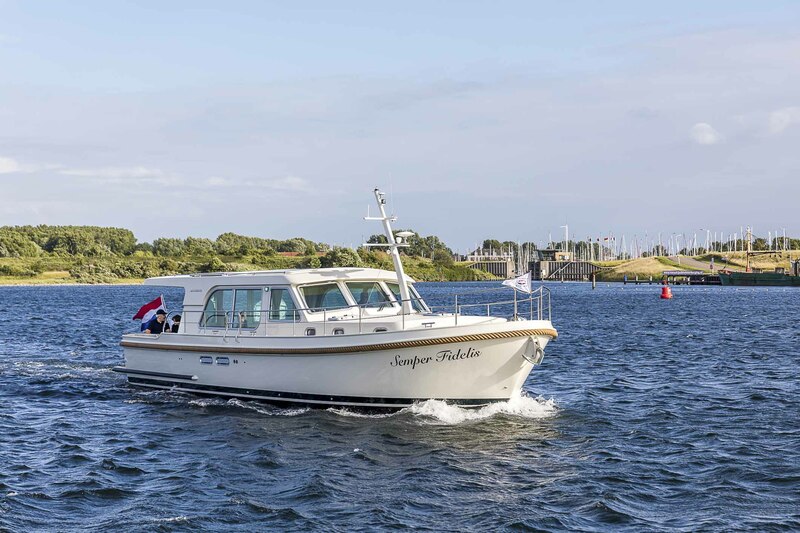 All models are provided with a standard folding roof (AC) and in the case of the 40.0 and 45.0, it stretches over the entire aft deck and has an adjustable height system as a standard feature. 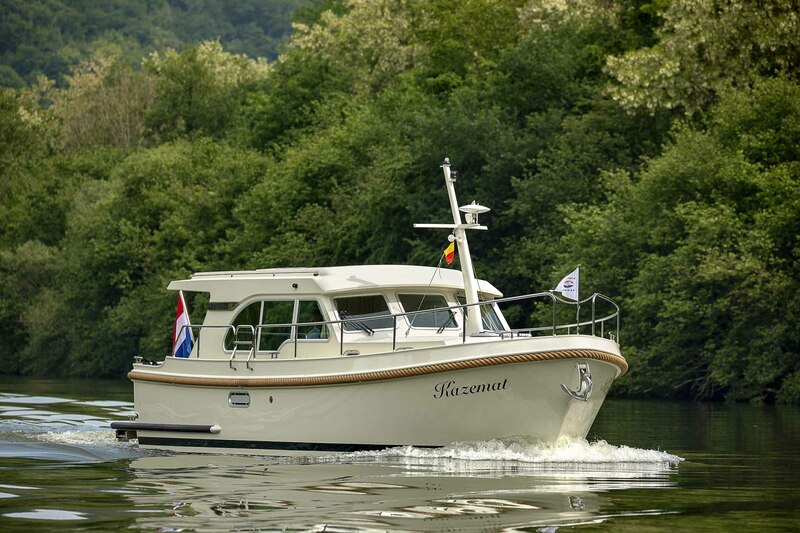 This system, which has been developed by Linssen in collaboration with our preferred supplier Gommans, allows you to lower the folding roof in an instant to sail under any bridges that are on the low side. In the Sedans, you can sit, eat or drink comfortably on the floating cockpit bench seats. The huge storage space below the self-draining cockpit is accessible via steps and can be locked, so that you can store bikes and other valuables in the space. The Sedan models are equipped with a longtop as a standard feature (the extended saloon roof over the open cockpit), as well as canvas around the longtop. This means that the open cockpit becomes an extra outside space, which thanks to standard heating outlets is always pleasantly warm, even on colder days. Your comfort is also the starting point for the interior. A very important development is the compartment-controlled heating system, which has been developed by Linssen in collaboration with Webasto. 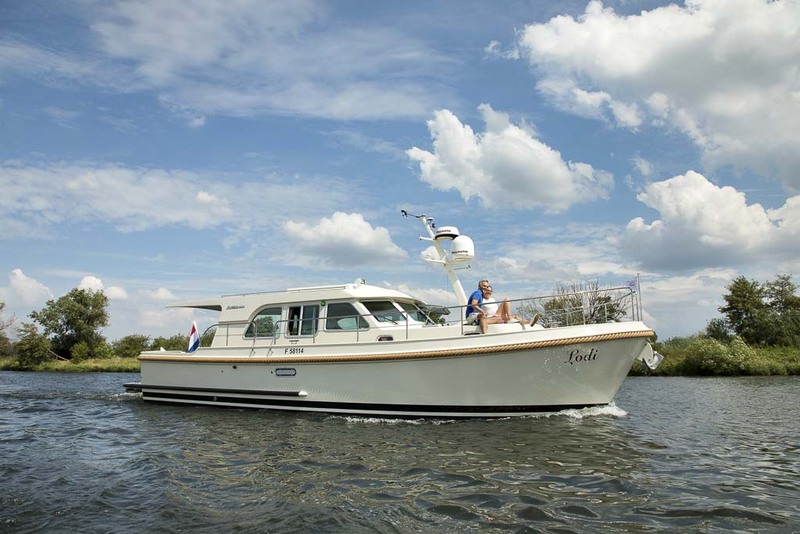 A separate day and night heating system that can be adjusted in the fore and aft cabins. Read more about the Linssen Compartment Controlled Heating (CCH) system. The Sedan models also offer you – if you opt for the Linssen original Variodeck® (sliding roof) – an integrated insect screen/sun blind and a folding handle for user-friendly and easy operation. Another much-debated topic within the development team is the available work surface in the galley. An extra worktop is always desirable if you want to prepare a delicious meal on board. The new 40.0 and 45.0 models have an extra Corian folding section next to the hob to make preparing meals more comfortable. In the 40+ models, we have also included an extra cooling drawer in addition to the standard 110-litre fridge, to keep all your bottles cool. Safety is paramount at Linssen Yachts. In order to move through the boat safely when it’s dark, interior lighting has been fitted as a standard feature in the saloon and galley of the 40.0 and 45.0. We have also taken account of your sleeping comfort! The fore and aft cabins have 14-cm-thick mattresses. Moreover, the panels surrounding the bed are made of soft materials so that you can lie comfortably with your head against this soft headboard. The standard insect screens/shades ensure that insects are kept at bay, so that you can enjoy your night’s sleep. 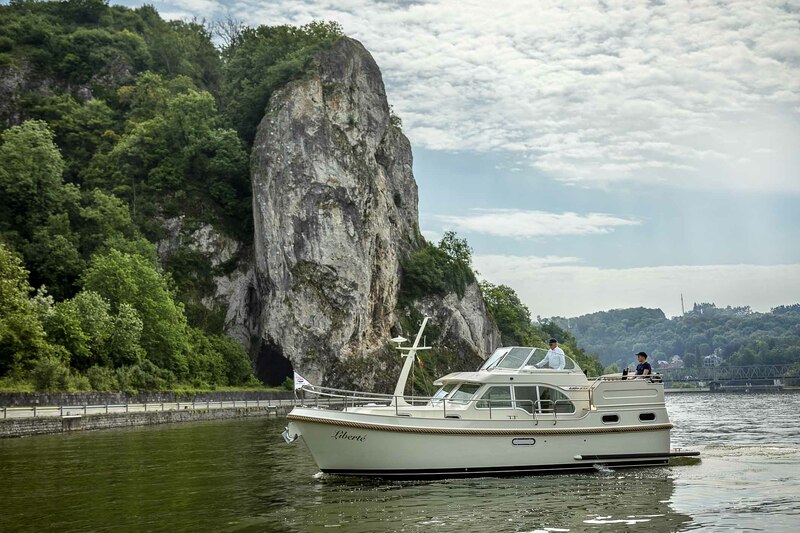 In addition, all cabins have reading lamps, the toilets (40.0/45.0) are electric and your new Linssen will have a TV in the saloon with a digital TV antenna.